For the third year in a row, our Just-Right Roast wins 1st place in the Unsweetened Iced Green Tea division at the North American Tea Championship. • Announcement at the NATC website. 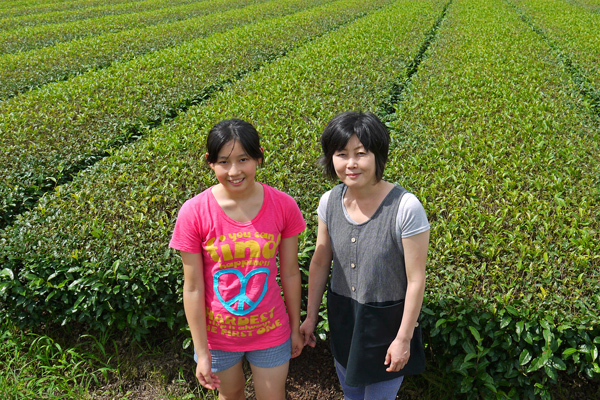 • Blog post: "Just-Right Roast takes 1st place yet again in the NATC"
Shaded Leaf won 2nd place in the Steamed Green Tea division in the 2013 North American Tea Championship. 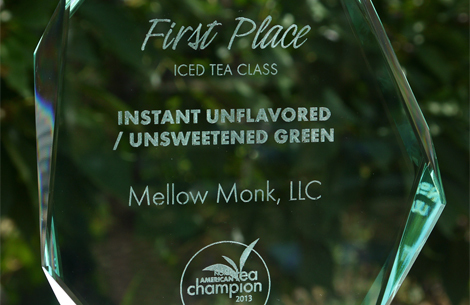 • Blog post: "Shaded Leaf's trophy"
For the second year in a row, our Lightly Roasted Green Tea wins 1st place in the Unsweetened Iced Green Tea division at the North American Tea Championship. 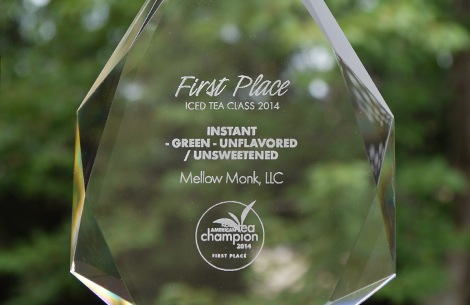 • Blog post: "Lightly Roasted Iced Green places 1st again at the NATC"
Lightly Roasted Iced Green Tea won 1st place in the Instant Green Tea—Unflavored/Unsweetened division in the 2012 North American Tea Championship. 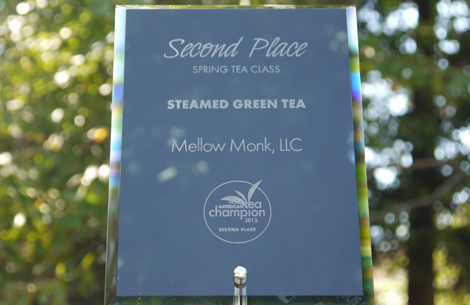 • Blog post: "Another 1st Place Win at North American Tea Championship"
Our Shaded Leaf won 3rd place in the Steamed Green Tea class at the 2012 North American Tea Championship. 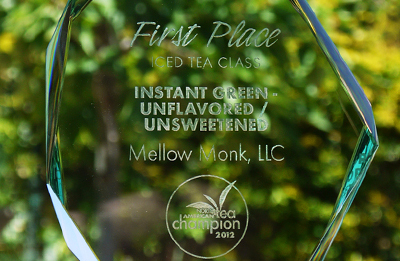 • Blog post: "Shaded Leafs Wins at the NATC"
Our Top Leaf won 1st place in the Steamed Green Teas class at the 2011 North American Tea Championship. 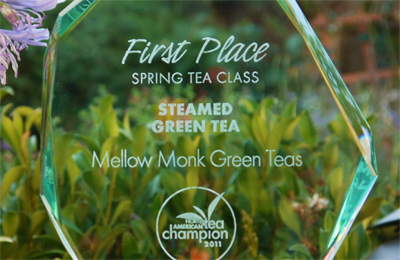 • Blog post: "Our beautiful trophy"
• Blog post: "Bringing the good tea news to city hall"
Top Leaf won 3rd place in the Steamed Green Tea division at the 2010 North American Tea Championship. 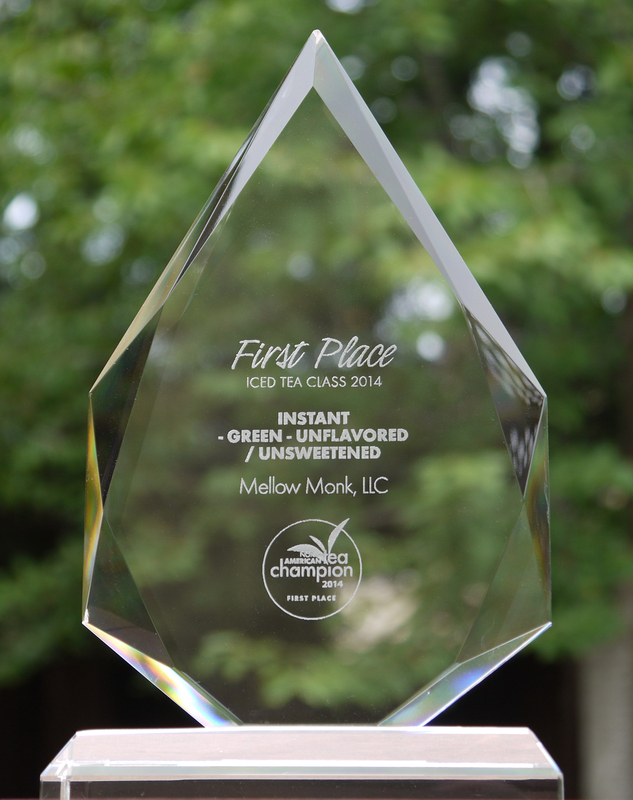 • Blog post: "Our tea wins at the North American Tea Championship!" We will be listing future awards in this space. Stay tuned!